The local time in Kiev and Ukraine is now . It is . The time zone used in Kiev and throughout Ukraine is Eastern European Time (EET). Eastern European Time is 2 hours ahead of Coordinated Universal Time (UTC). The zone uses daylight savings time (DST), so it is 3 hours ahead of UTC when DST is in effect. Daylight savings time begins the last week in March and ends the last week in October. 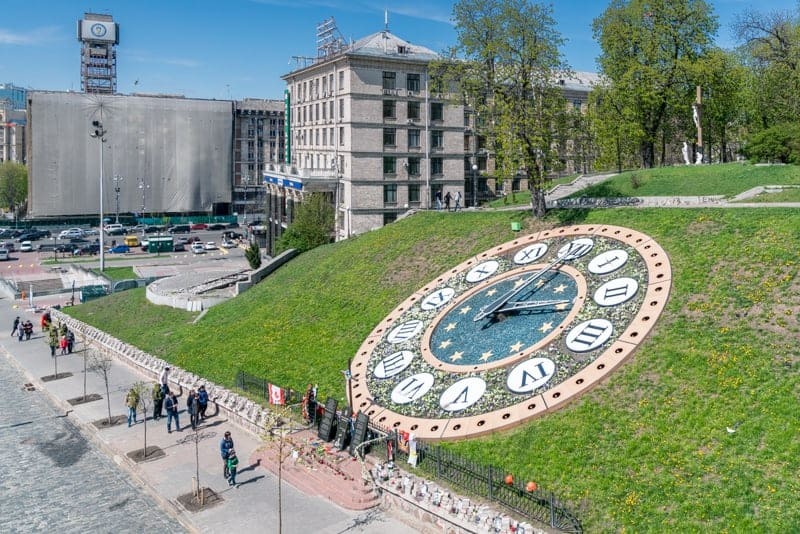 If you ever need to know the time in Kiev and don’t have a watch, go to Independence Square and check out the floral clock. Current time differences between Kiev and major cities around the world are shown in the table below. Sunrise and sunset times for Kiev can be found here. View sunrise and sunset times for Kiev.